Tiffany & Co. is unquestionably one of the world’s most revered luxury brands. The iconic appeal of the little blue box has lit many womens’ eyes as vibrantly as the diamonds the brand proffers. Given that mobi.luxe is focused on the impact of mobile applications for luxury retail, the question arises as to how does such a venerable retail institution as Tiffany & Co. leverage mobile to accentuate the brand experience. As alluded to in a previous post, I was honored to speak at the recent Luxury Institute event in New York City on the topic of Mobile 2.0 and one of the primary tenets of my presentation was imploring the brands in attendance to create “mobile moments” that capture the essence of the brand, while providing utility for their customers that is in-line with the experience that captivates their customer audience. 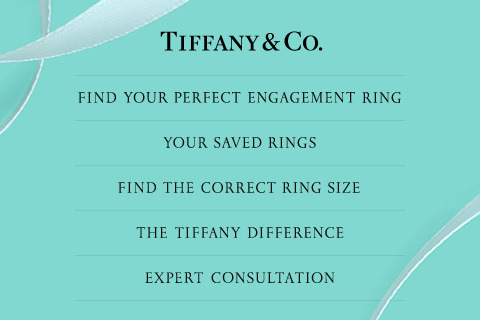 With the launch of the Tiffany Engagement Ring Finder (I know, not the most creative branding of an app) iPhone app, Tiffany & Co. has accomplished just that. The app effectively serves to position Tiffany not as simply a luxury diamond merchant but, rather, a brand that represents love. By not focusing on selling product via a scaled-down version of its e-commerce site but instead providing utility for its customers, Tiffany has created a very valuable, useful and entertaining application that serves to elicit further brand loyalty. In essence, Tiffany has proven the equation luxury + utility = brand loyalty. So, in examining step one of the litmus test of a quality rich app, Tiffany has effectively created a “mobile moment” that aligns perfectly with the essence of the brand and its commitment to creating everlasting love stories. Step two, however, is where many luxury brands fail to pass the test. Many digital agencies and internal digital and creative teams have created a multitude of what I refer to as “cul de sac apps” – beautifully designed runway-type apps that provide no real sense of utility for subscribers and, in turn, are tried once and put away or, worse yet, deleted from the user’s app library. The Tiffany app again excels in this category, providing useful functionality such as allowing the user to place one of their own rings flat on the screen to determine their correct sizing, schedule an in-store consultation, browse the collection, and save configured rings to a wish list to provide a gentle (or not so) hint to their loved one. “The passage from “solid” to “liquid” modernity has created a new and unprecedented setting for individual life pursuits, confronting individuals with a series of challenges never before encountered. Social forms and institutions no longer have enough time to solidify and cannot serve as frames of reference for human actions and long-term life plans, so individuals have to find other ways to organize their lives.